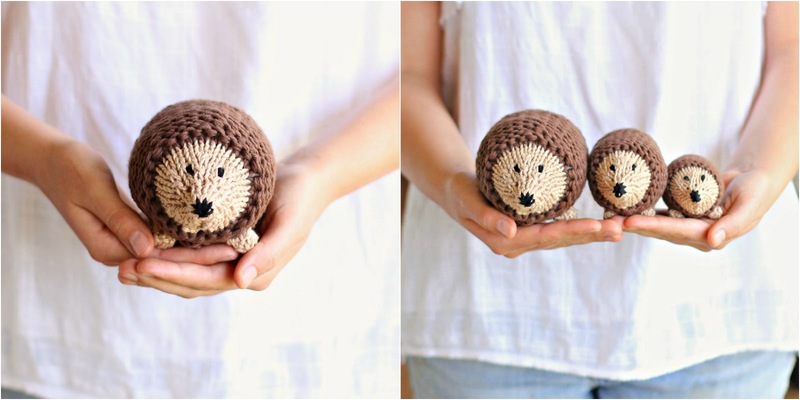 I've never yet heard one single person say that they don't like hedgehogs, knitted or otherwise. I go beyond liking them - I adore the little creatures. 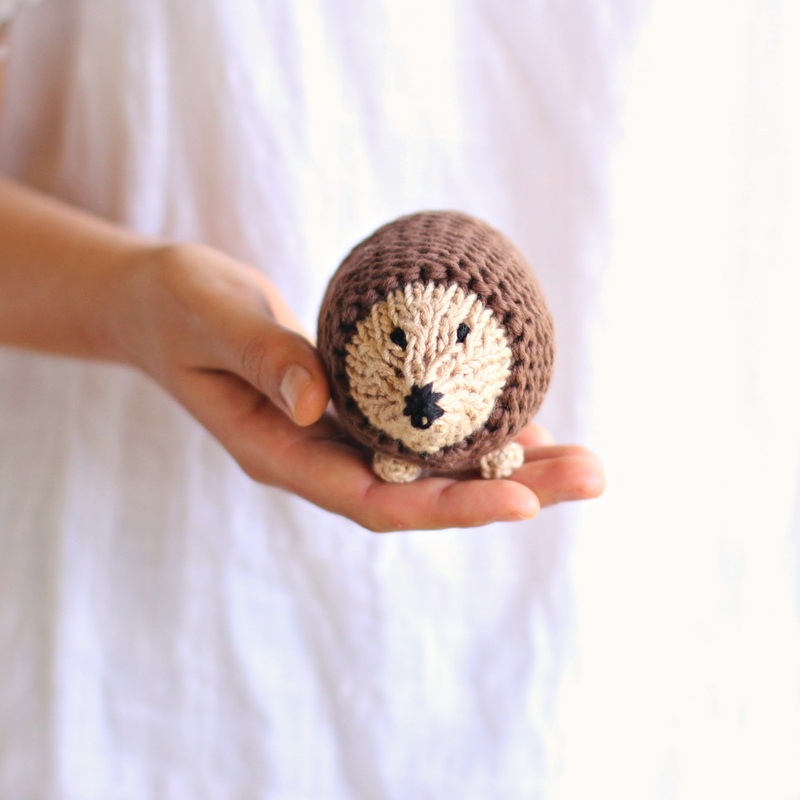 I've written before about how much I love knitting these hedgehogs, and I've been itching to cast on another one for some time now. 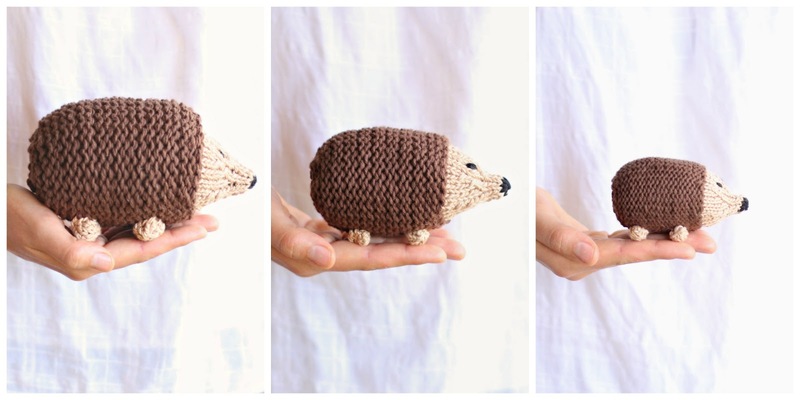 Last weekend, with my needles free from projects, I decided there is no time like the present, and so I set to creating a gorgeous little hedgehog family. I used my favourite Organic Cotton yarn for their bodies, and some bamboo that I've had stashed for a little while for their faces and feet. I don't know what it is about these Hedgehogs, but I enjoy making them every single time. Creating a family is my favourite. I filled them with pure wool and finished them off with bamboo eyes - the end result? 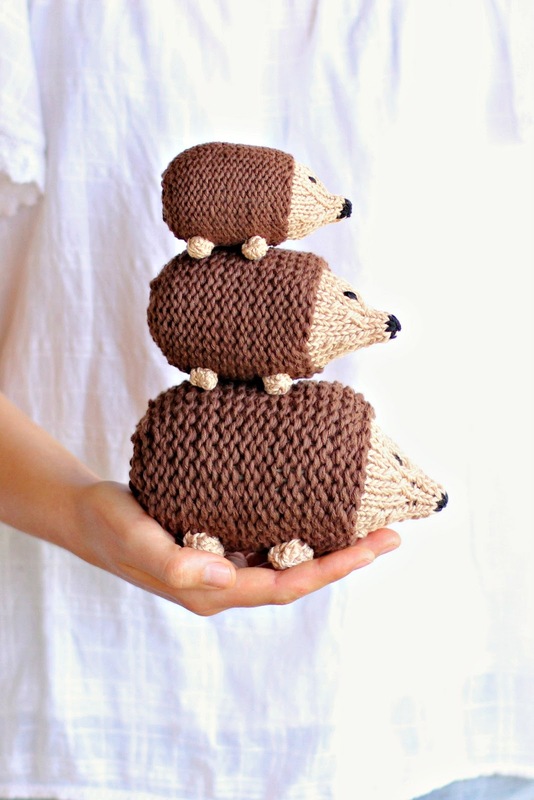 A trio of Hedgehogs, quite unintentionally hand knitted from all natural fibers, making them both eco-friendly and deliciously soft and cuddly. All hedgehogs have an air of goodness, and these three are no exception. They're in my blog shop now, waiting to be purchased and so support a very good cause. This little family will be donating a portion of their proceeds to the Australian Working Dog Rescue (AWDRI). This is a very important organisation that does a wonderful job right across Australia of rescuing all kinds of working dogs - from litters of puppies to abused dogs. It's a charity close to my heart, as working with dogs and stock is one of my greatest delights, and I'm also well aware of the abuse and mistreatment that some working dogs receive. If you want to learn more about the work of AWDRI, visit their website and also have a peek at their Facebook page. You can purchase just one hedgehog, or collect the whole family. I also knitted these up on my favourite needles - they are Tasmanian Oak and are just beautiful to work with, not mention they have the loveliest smell when brand new. You'll find them here. Have you ever knitted anything for charity? They are so so sweet Sarah! They are so very cute Sarah. I completely understand how you feel about hedgehogs . They are adorable. I'll have to knit them as I'm in Canada. Love the tea mice as well. Really really adorable little toys. Their feet are super cute :)I might have to crochet some as I cannot knit. I love them too. Love those little mice as well. For some reason their expression reminds me of my little dog - a Papillion Jack Russell X.
Oh my goodness, these are adorable, and what a fantastic charity! All in all a wonderful idea Sarah!